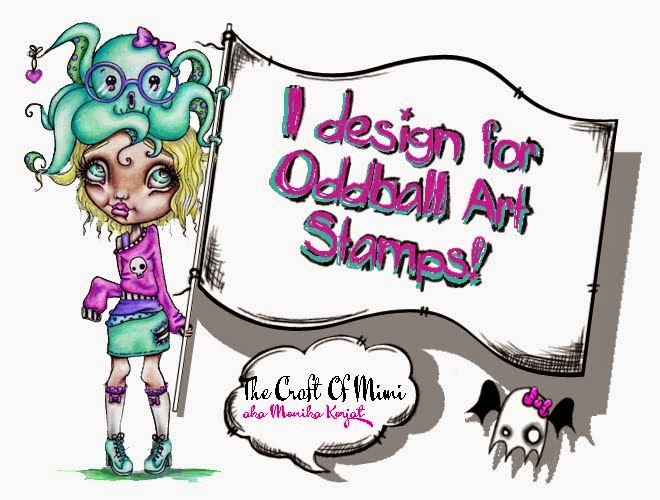 The Craft of Mimi: Easter Card and new promarkers! Happy Easter everyone! I know I'm a little late but had been busy with my family and did not do much craft. This morning I have been home alone as Hubby went to work so I took all my new supplies out(! I got promarkers!!! ) and made this little card. I usually do not do Easter cards as the amount I have to spent is way too high for me to give to everyone. Here are the pictures. 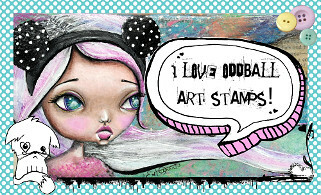 I used |Small Wonder's K&Co paper pad for the background and used Glossy Accents on the dots. The round small circled punched out paper is Nanna's Nursery from DCVW and the strip comes from Dovecraft Princess Fairytale paper pad. The rabbit was hand drawn from step by step tutorial: here is the link: http://www.dragoart.com/tuts/5223/1/1/how-to-draw-a-bunny.htm I painted the rabbit using mt Tim Holtz inks and some new Promarkers!!! I just love them! Will need to buy few more for my stack. I used once more my Glossy accents on the rabbid! The paper flower is from hobbycraft collection and the ribbons are from my stash. The green flower gem was from Papermania Capsule collection embellishment set. Hope you like the card!!!! Comments are really appreciated! cute card, so glad you played along with mojo Monday...hope you have a fabby week! 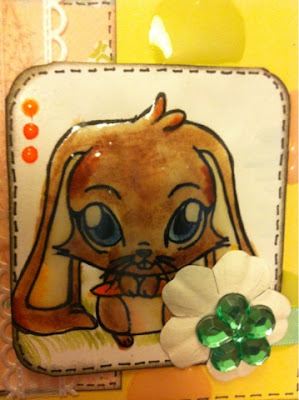 Wonderful colours and your cute image of a rabbit, great card. 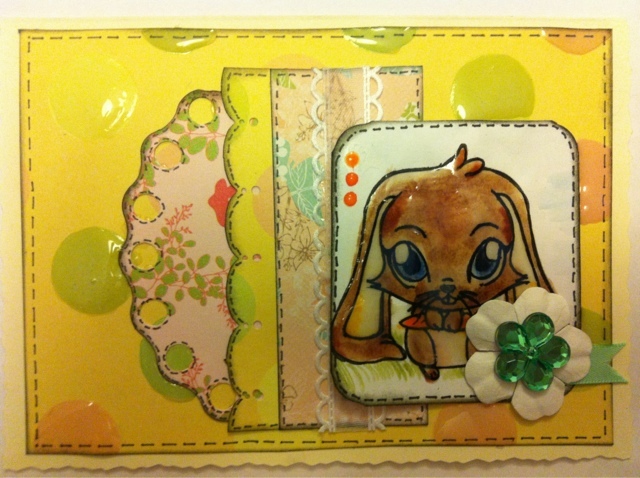 Adorable card and lovely Rabbit. Thank you for joining us at ABC with your cute card. Really cute bunny rabbit with wonderful colors.